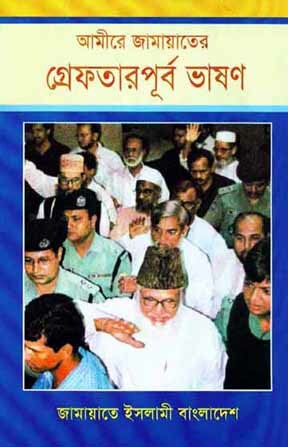 Nayeb-e-Ameer of Bangladesh Jamaat-e-Islami and former member of the Parliament Professor Mia Ghulam Parwar has issued the following statement on 12th February, 2017 protesting the unjust arrest of Khulna North Organizational District’s Assistant Secretary Professor Mia Ghulam Kuddus and Assistant Secretary and Fultola Upazila Council’s elected Vice-chairman ATM Gawsul Azam Hadi and Fultola Sadar Union unit’s Jamaat President Abdus Sattar Gazi on 11th February and similar unjustifiable arrest of Rajshahi Medical College unit President of Islami Chhatrashibir Sumon along with two other activists on 10th February. 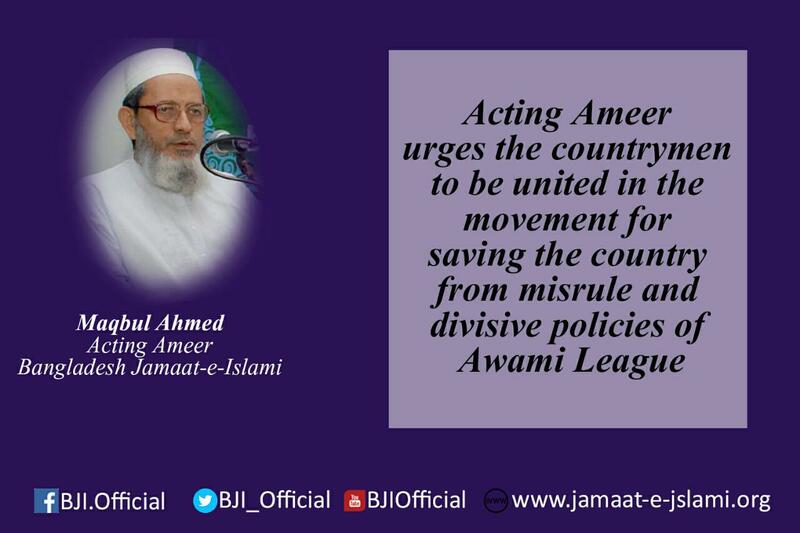 “The government is hatching conspiracy to make Jamaat-e-Islami a leaderless organization even from its grassroots level. As a part of the same conspiracy, they have unlawfully arrested Khulna North Organizational District’s Assistant Secretary Professor Mia Ghulam Kuddus and Assistant Secretary and Fultola Upazila Council’s elected Vice-chairman ATM Gawsul Azam Hadi and Fultola Sadar Union unit’s Jamaat President Abdus Sattar Gazi and similarly Islami Chhatrashibir’s Rajshahi Medical College unit President Sumon along with two other activists. They all are completely innocent. The government is continuously arresting the leaders and activists of Jamaat-e-Islami and Islami Chhatrashibir in order to harass them politically. The incumbent government already became detached from the people because of its unprecedented oppression and torture. 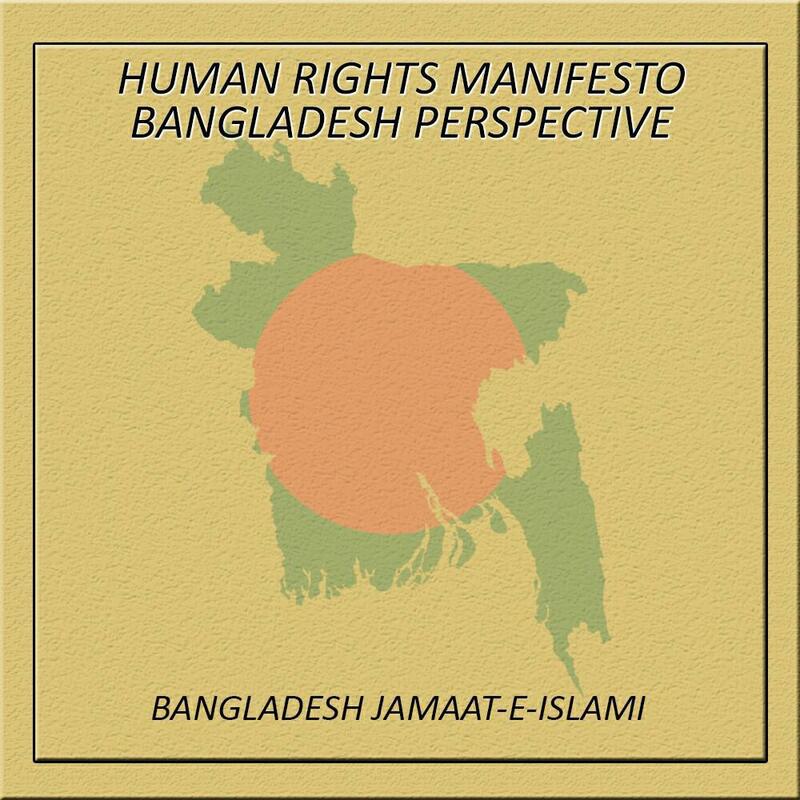 The government is conducting arrest drive against the Jamaat and Chhatrashibir men and imprisoning them just to stay in power forcefully. But no authority can sustain in office by force for long.